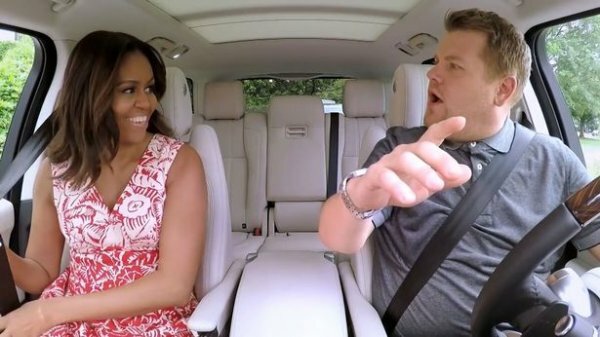 Video: Michelle Obama dances to Beyonce’s Single Ladies with James Corden in Carpool Karaoke :- It is the Carpool Karaoke for which everyone has been waiting for. US First Lady Michelle Obama sat beside with James Corden’s in his car, dig in a good gossip and sung along to the tracks of Beyoncé. US President Barack Obama’s wife looked breathtaking in a red summer dress having white Floral print which reveals her famously super toned arms. She climbed into Corden’s car as he arrived at the president’s Washington DC residence for a voyage, only to be greeted by the mother-of-two. The comedian-actor of the popular series The Late Late Show has enjoyed his fair share of high-profile names including Justin Bieber, Jennifer Lopez, One Direction and Adele among others – but the First Lady undoubtedly tops the lot. Fittingly titled Carpool Karaoke at the White House, Corden seize the best tour guide on the premises in the First Lady. She casually quipped: “Hey there, I hear you’re here for a 1.45 tour, and I had a little time on my hands. Want to go for a spin?” A gobsmacked Corden gloomily stared at her in disbelief. One of the biggest Music lover Mrs. Obama got the ball rolling swiftly with Stevie Wonder and said she’ll miss most about being First Lady. 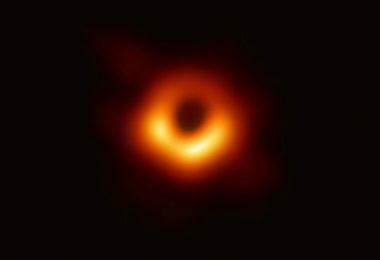 Mrs Obama also revealed that it was only the second time in seven and a half years that she had sat in the front seat of a car – the first had been when she “rocked out” to music while teaching her daughter Malia to drive. Isn’t James really lucky guy? The funny part of the story was when the duo sang along to Beyoncé’s Single Ladies while waving the signature hand gesture in unison. It doesn’t get much better than this.